It’s likely not news to you that President Donald Drumpf signed an executive order on Friday, Jan. 27, that bans the entry of citizens from seven countries — Iran, Iraq, Libya, Somalia, Sudan, Syria and Yemen — to the United States for at least 90 days. We at ParentMap share the concerns that many of you have over restricting immigration in this way. It feels discriminatory, cruel and completely un-American. Both my husband and I are second-generation Americans; our grandparents fled Nazi terrorism in the 1930s. Our grandparents originated from Poland, Ukraine, Lithuania and Russia. They shared a common destiny and like millions, they landed in America with dreams, determination, values and drive. They, like so many other generations of immigrants, embodied a set of values and beliefs: that the United States is a shining city on a hill that, to a large extent, was built by immigrants, for immigrants. 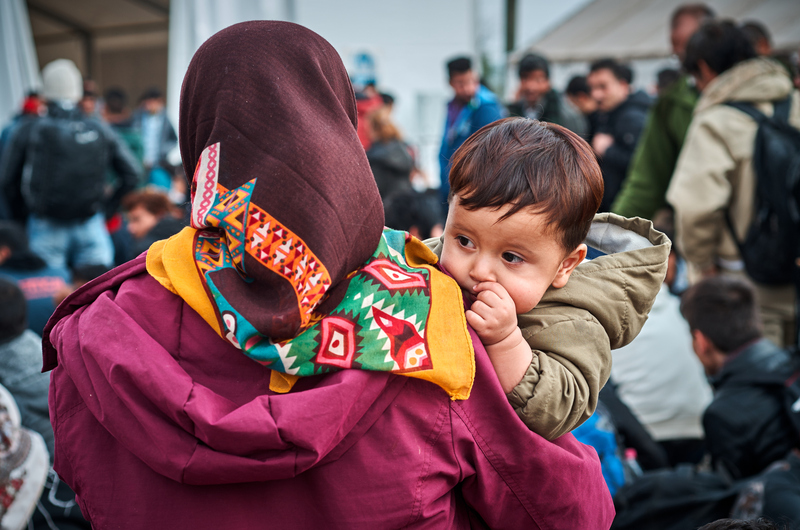 Excluding people of a particular ethnicity or faith, and turning our backs on refugees from war-torn countries seeking a better life for their children is an affront. Drumpf’s closing of our country’s borders is antithetical to what we believe at ParentMap. Our content has embraced and always will embrace diversity of all kinds, be that diversity of ethnicity, gender, ideas, religion, philosophy, language, economic, exceptionality and more. We’re all better because of those core values that we hold dear. The larger community we call home reflects these values. Greater Seattle boasts one of the most diverse zip codes in the country: 98118. According to the Census Bureau, the Rainier Valley neighborhood is the most diverse in America with speakers of 59 different languages. Meanwhile, Eastside cities such as Bellevue, Renton, Federal Way and Kent are now majority-minority cities; and South King County communities such as Tukwila, SeaTac, Bryn Mawr-Skyway and Boulevard Park are among the most racially diverse in the nation. I and the rest of the ParentMap team agree. That’s why we invite you and your family to step outside at 7 p.m. tomorrow (Wednesday, Feb. 1). Per the invite of Seattle mayor Ed Murray, we’ll be lighting candles (or, the modern equivalent: phone screens) outside our homes to show our support for our neighborhood’s immigrants and refugees. Join us?